The British Army and Navy were deeply conservative institutions going into the First World War. Much of their technology and strategies were firmly rooted in the nineteenth century. The political realm and universities were not much different, with science and engineering held in relative disdain. Over the course of the war the thinking and tactics of the establishment were altered by a range of scientists, medics, journalists and writers who sought to aid Britain in its pursuit of victory. 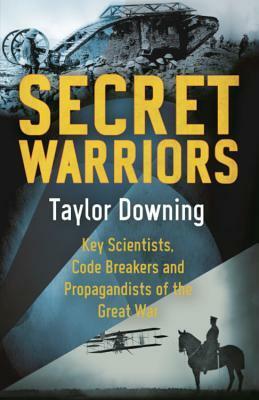 In Secret Warriors, Taylor Downing provides an expansive overview of how technologies and attitudes were reshaped, focusing on five main areas - aviation, code-breaking, engineering and chemistry, medicine, and propaganda - and their key actors. While covering so much ground provides a broad overview, it inevitably sacrifices depth for breadth. 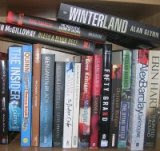 As such, while the book is often fascinating it is also quite sketchy at times. And it is very much focused on Britain, largely ignoring developments elsewhere, except for cursory nods every now and then. Further, the book could have done with a bit more wider contextualisation as to the institutional and cultural changes taking place in British society, and a conclusion that sought to more fully make sense of how the ‘secret warriors’ made a difference and their legacy. Instead, the conclusion is quite piecemeal, focusing mostly on the careers of three scientists, and makes a tentative argument about how the changes wrought fed into the Second World War. Overall, a useful book if you’re interested in a broad brush overview of scientific breakthroughs in the First World War.